The Treasure Hunt series from Hot Wheels is getting way better. 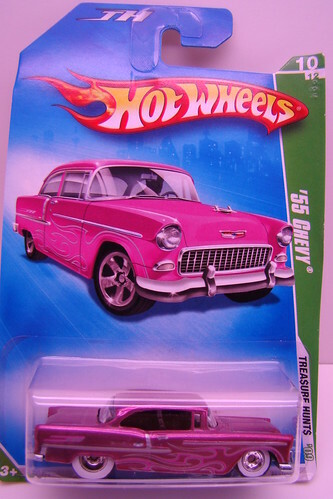 This Super Treasure Hunt 55 Chevy is on point! From the THICK white walls to the flame job, this thing is spectacular! can i buy your hotwheels? ?how much I have to pay? ?